BRUSSELS (Scrap Monster): The leading waste management company Viridor has officially opened doors of its multi-million polymer recycling plant at Rochester, Kent. The state-of-the-art facility is considered to be the first of its size with capability to recover mixed plastics and co-mingled glass and can. 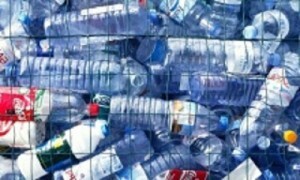 The £12.5 million facility is expected to boost plastic recycling rates by local councils and businesses. The plant has total processing capacity of 75,000 tonnes of mixed plastics. Additionally, it could separate up to 10,000 tonnes of glass. All this is achieved with the help of a series of high-end equipment including ballistic separators, eddy current separators, flexible screens and de-stoners as well as sensor-based sorting equipment. The Rochestor plant is licensed to operate 24 hours a day. The plant will accept waste streams from material recycling companies, other waste management companies and kerbside recycling collections. The construction of the plant had commenced during early-May this year. “I’m pleased to see our latest investment already providing an improved recycling service for customers in Kent and beyond. Transforming what others see as waste into quality resources that can be used within manufacturing is a key requirement to greater resource efficiency in the UK”, stated Ian McAulay, CEO,Viridor. Viridor is a recycling, renewable energy and waste management company in the UK, owned by Pennon Group.